Celebrate life with great food, wine and friends at these fun events and outings in and around Orlando. I call these my GO Events as I hope they inspire you to GO Epicurista! Don’t put off your fun life to someday. GO today! 1. GO Wine Down For The Cure! When you GO “Wine Down Wednesday” this week, why not do it for a good cause? 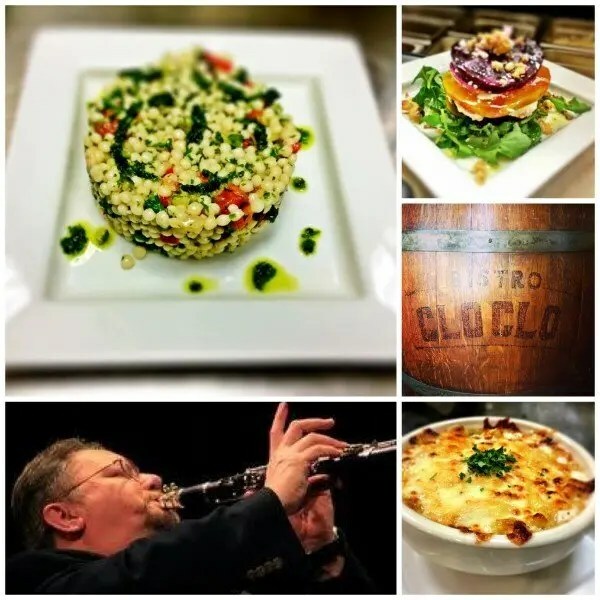 On Wednesday September 17th, from 7pm-9pm, Bistro CloClo, the newest French sensation in Dr. Phillip’s Marketplace, will donate 15% of all revenues for the night towards Breast Cancer Research in Central Florida. You get to enjoy delicious French cuisine, half off all wines, and live jazz with friends in a quaint Parisian-style setting. It’s a win-win-win! Call 407-745-5045 or click here for reservations. GO Wine Down For The Cure! 2. GO to the Cirque! A Cirque du Soleil show is a one-of-a-kind experience that should be on everyone’s “Someday List”. During the month of September, Orlando will host two different Cirque du Soleil shows giving us greater opportunity to be dazzled and amazed. La Nouba, permanently housed at Walt Disney World Resort’s Downtown Disney; and Varekai, at Amway Center September 17 – 21. To make this even more spectacular, special offers are available for both shows on select dates, based on availability. If you have never seen a Cirque du Soleil show, you must GO and GO again! Every seat giving a unique perspective to all the acrobatics action. Varekai promises to be just as spectacular as La Nouba, with more intrigue, mystery and world-class aerial arts and circus tradition. 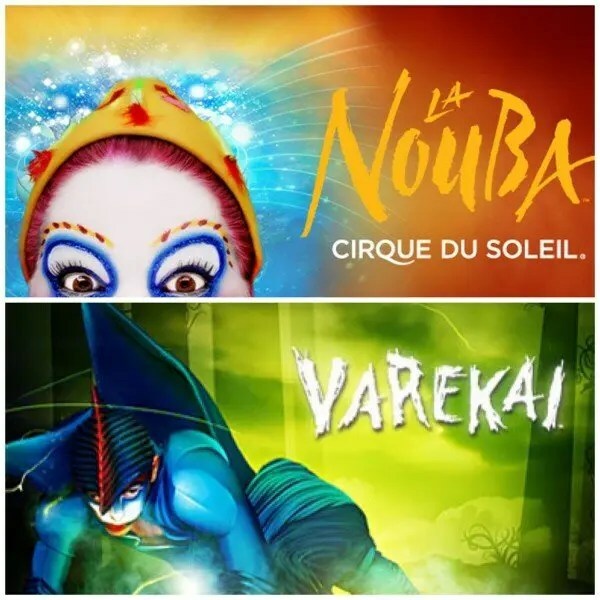 Click for tickets to Varekai and La Nouba. GO to the Cirque! 3. GO to the Theater! Orlando Shakespeare Theater launched their 2014/15 season with the epic Broadway musical, Les Miserables, playing now through October 12th. A show the Orlando Sentinel says is “quite simply a must see”. If you want to meet the cast and learn about the design of the show, check out a special Q&A with the cast and members of the design team, on Sunday September 21 after the 2pm matinée. Get your tickets online, by phone 407-447-1700 ext 1, or at box office at John and Rita Lowndes Shakespeare Center 812 East Rollins Street. GO to the Theater! Make it a French-themed evening with dinner at Bistro CloClo before or after the show. It’s one of my top Magical Dining picks where to get the most magic. Their Magical Dining Menu looks amazing and at only $33 per person, it’s enough to end any revolution. 4. GO Eat & Drink Around the World! 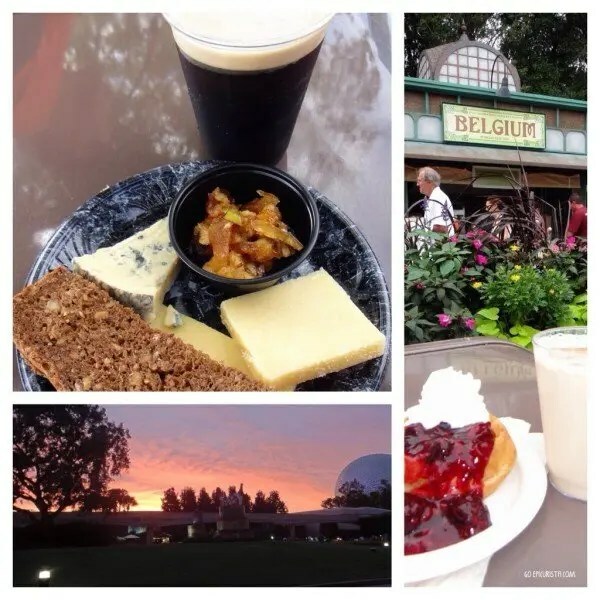 The 19th annual Epcot International Food and Wine Festival is finally here! The event all foodies plan their fall calendar around, runs even longer this year – 53 days – from Friday September 19 – Monday November 10. Lots of cooking and beverage seminars, celebrity chefs, special events, Eat to the Beat Concerts, and of course the most popular food and wine pairings to explore at over 25 marketplace booths. The new Patagonia marketplace combining the flavors of Argentina and Chile and returning favorite, Brazil, are on my must-eat list. Get your friends together and GO Eat and Drink Around the World! 5. GO on a Hawaiian Vacation! Doesn’t a Hawaiian getaway sound amazing? Roy’s Orlando will take you there without spending hours on a plane trip. On Sunday and Monday nights during football season, their popular ‘Aloha Hour’ Happy Hour, normally from 5p-7p, goes all night long offering $6 cocktails and bar bites including the best Hawaiian Martini and Shrimp Tempura Ebi Rolls you could ever have. If you want a full meal, on Monday nights for a limited time, enjoy ‘My Prix Fixe Monday’ and create your own three course menu of any appetizer, any entrée and any dessert on the menu for only $36.95 per person (a substantial savings). This is a deal you cannot miss! Make reservations and GO on a Hawaiian Vacation! 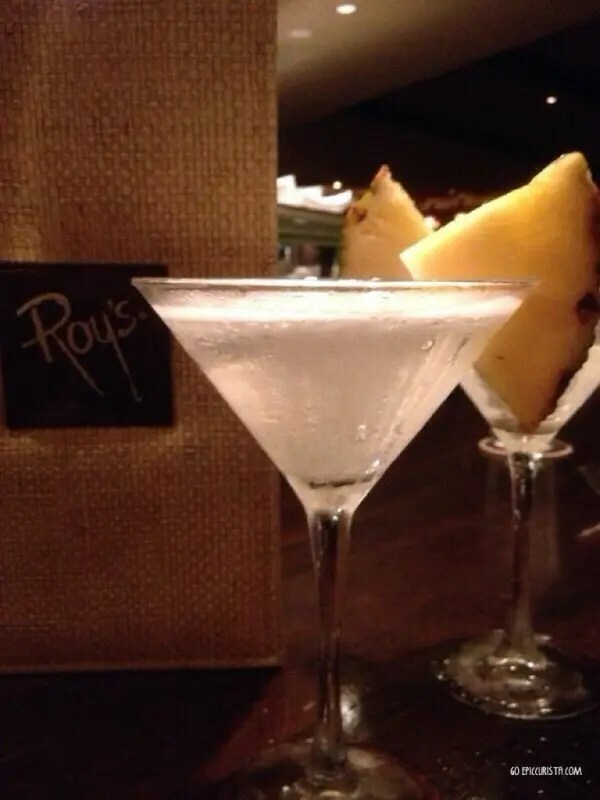 Roy’s Hawaiian Martini – so good you will want more than one! 6. GO Experience a Smokin’ Kitchen Collab! Why not take a road trip to Miami for some #MiamiSpice (Miami’s version of Magical Dining) and then experience a smokin’ – not-to-be-repeated – “Kitchen Collab” multi-course dinner event on Monday September 22nd? Chef Jamie De Rosa of Miami Beach’s Tongue & Cheek, soon to be featured on Bravo’s new food-reality show ‘Best New Restaurant’, partners with Orlando’s own, Chef Kathleen Blake, the powerhouse behind true farm to table cookery at The Rusty Spoon. These James Beard Foundation Award nominated superstar chefs have put their creative culinary heads together and come up with a one of a kind menu of “Salted, Preserved and Smoked” ingredients. Dinner is $75 per person with optional beverage pairings for $25. Tongue & Cheek is located at 431 Washington Avenue, Miami Beach FL. Seating is limited and reservations are required. Call 305-704-2900. GO Experience a Smokin’ Kitchen Collab! 7. GO Be a Whisky Connoisseur! 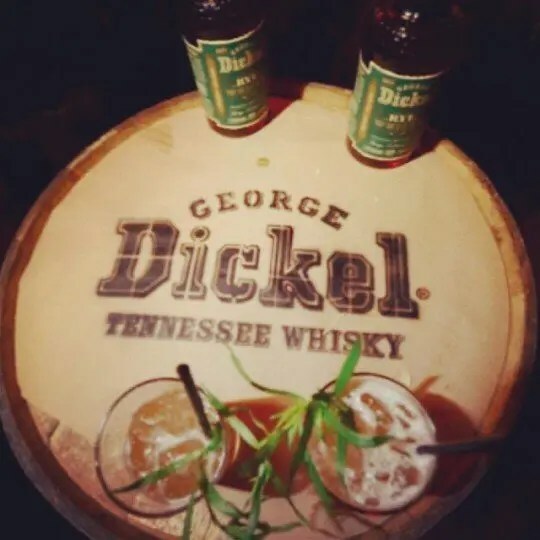 Get ready to learn everything you ever wanted to know about whisky from “Best American Brand Ambassador” Todd Richman of George Dickel Whisky at Cask & Larder’s Whisky Dinner next Tuesday September 23rd. The talented chefs and bartenders of this Southern-inspired Orlando restaurant have prepared a creative pairing dinner menu like no other. Event starts at 6:30pm. Space is limited so reserve today at 321-280-4200. GO Be a Whisky Connoisseur! 8. GO Party Like a Rock Star! Hard Rock Hotel Orlando hosts Velvet Sessions, Orlando’s only rock ‘n’ roll cocktail party and lobby concert, the last Thursday of each month. It’s a fun night of live music from great bands, cocktails, food, and fun where you can party like a rock star (or a groupie!). On Thursday September 25th, prepare for Bret Michaels to rock Pinktober! This show sells out each year as the perennial bad boy of rock performs his greatest hits like ‘Every Rose Has Its Thorn’ and ‘Talk Dirty To Me’. Best of all, from 6:30pm until show time you get to sample creative specialty drinks and finger foods, included in the price of your ticket. You know you’ve always wanted to live the rock ‘n’ roll life. Purchase tickets and GO Party Like a Rock Star! 9. GO on a Spanish Adventure! International Latin dance sensation Siudy is coming to Orlando’s Bob Carr Performing Center on Saturday September 27th with a Flamenco fusion dance show that will leave you both mesmerized and energized. Pair this show with a Spanish & Asian Fusion Dinner at Kasa Restaurant & Bar, currently offering a fantastic Magical Dining three course menu for only $33 per person. Get your tickets for the show here and make your reservations at Kasa online and GO on a Spanish Adventure! Don’t forget Visit Orlando’s Magical Dining is happening until end of the month. Here’s my tips to get the most magic out of this culinary extravaganza! If you liked my Top 9 GO Events List, please share it with your friends using the social media links below. Let me know in the comments where you will celebrate life with family and friends this week. 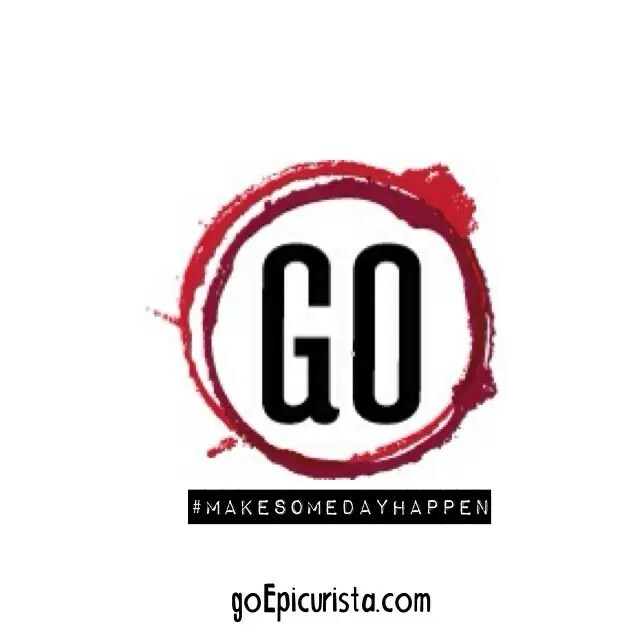 Wherever it is, make it a Go Epicurista celebration!